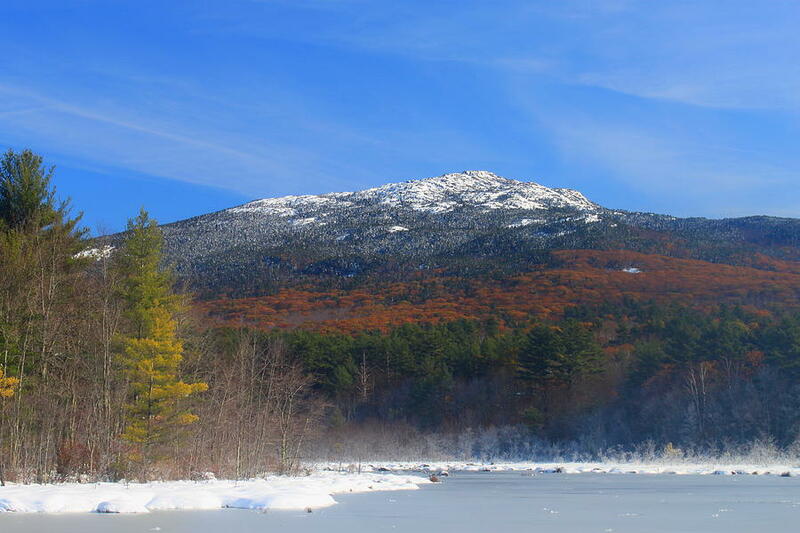 Has it ever crossed your mind that going on a hike in the winter could be a possibility? Maybe its something that you have never thought of doing, or maybe its always been on your bucket list but you’ve never followed through. While living through the harsh winters of New England, we all know that outdoor activities during this time are slim to none. Not every one can afford a day of skiing and the lines can be unbearable at times. A great alternative is going for a hike to the top of one of the many peaks this area has to offer. Experiencing the complete absence of sound is becoming more difficult every day. Even when hiking in the warm summer months, the shuffling of the leaves in the wind and other people along the path is a continual occurrence. Hiking in the winter removes these noises and you are left with complete tranquility. The sound of your breathing will be the only thing that breaks this silence. 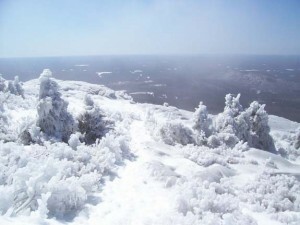 It is an occurrence that can only take place while on a mountain in the frigid months of winter. This can be just what you need to prepare yourself for another day at work. Anyone who has ever spent a winter in New England knows that this can be a time of hibernation. Most go through their days and avoid being outside at all costs. The simple thought of being outside longer than the time it takes to get in and out of your car can be devastating to some during these months. For those who love hiking and are brave enough to gear up and get outside, hiking in the winter could turn those winter blues right around. It gives you something to do outside other than spend big money to ski or snowboard. Yes the cost of the gear needed to be safe is nothing to brush aside but most of these items you probably already have lying around. Enjoying the crisp fresh air is a great way to change your attitude about winter and maybe even warm up a little bit. Get out of your house and enjoy the beauty that is the outdoors. Snowshoeing can be fun for all ages and provides a great work out. 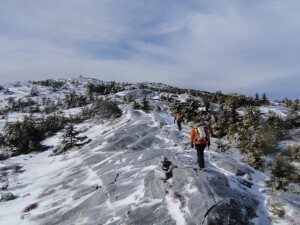 If you are hiking in the winter than these are a must have in your repertoire of gear. Not only will snowshoes make the deep snow easier to traverse but you are also given the additional security of crampons that most new models are equipped with. It’s inexpensive and will add an exciting element to your hike. As you make your ascent to the peak of the mountain, don’t forget to take a second and look around. Unlike hiking in the summer, the forest opens its doors to scenery you would never see with the endless amount of leaves and vegetation in the way. The added snow and ice acting as a wintery prison among the landscape creating something you will rarely see twice. With each snowstorm and every gust of wind, the snow transforms creating sculptures that look as if a wave was frozen mid break. These are views that so few get to take in but embarking on a hike up one of New England’s many mountains will surly provide a sight to see. You may have taken the same route in the summer 5 times before, add about a foot of snow and howling winds in each direction, and now you’re in for a ride. Hiking in the winter is more of a thrill ride than your average trek up a mountain. Each hundred feet will bring a new test to your will, pushing yourself through will be the true reward. 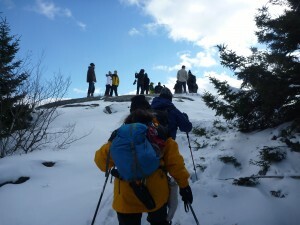 As you reach the summit and can finally look out on the frozen landscape a sense of accomplishment will overwhelm you. It’s more than just pushing up the mountain but a battle with the elements as well. The will power and determination needed to over come the difficulties will help prove that anything is possible. Taking a picture atop a frozen summit is something that will last forever. Always remember, never hike alone, and make sure to tell someone the estimated time it will take you to complete the hike.